You would swear this man is from Cleveland but Pickwick & Frolic’s proprietor, Nick Kostis, is a Brooklyn boy who never doubted the character and people of his adopted hometown, Cleveland, Oh. In fact, he staked his reputation on it more than once. Nick and his wife Carlene have been married for 50 years; are the proud parents of daughters Thea and Dina and proud grandparents of three. The first chapter of Nick’s career began a long way from comedy and conviviality, in the education world. Nick received his degree in secondary education from Rio Grande College in 1964 and went on to receive a master of education degree in counseling from Ohio University four years later. Shortly after, he pursued post-masters studies at The Ohio State University’s School of Psychology. Nick’s time as an educator started out as a social studies teacher in the West Lafayette Schools. His trail of helping children led him through Washington County Schools, Oberlin City Schools and Tallmadge City Schools where he was the Director of Pupil Personnel Services. Those who know Nick know he is a man who likes to keep busier than most and has never heard the phrase ‘idle hands.’ During his time as an educator, he founded and operated ‘Health Beverages, Inc’ to distribute 100% natural fruit juices via coin-operated vending machines. It grew into a full line food and beverage vending company serving three counties. Nick’s full transition into the hospitality industry happened quite by accident when he stumbled onto what would become the Little Bar & Grill in 1984, an establishment that was small but mighty and contributed to the redevelopment of the the Historic Warehouse District. 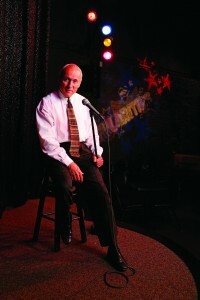 From there, Nick opened Hilarities Comedy Clubs beginning in 1985. Over that time, Hilarities has been a launching pad for notable acts including Jerry Seinfeld, Paul Reiser, Tim Allen, Steve Harvey, Drew Carey and countless others of both local and national notoriety. Hilarities Comedy Clubs were a part of the Showtime Comedy Club Network and Nick and his team were humbled and proud to be directly responsible for bringing two one-hour HBO specials to Cleveland. In 2002, Nick took the biggest chance of his entire career, seeing the vision that would become E. 4th before anyone else was brave enough to give the dilapidated stretch of road a second glance. Armed with blue-prints and a dream, Nick and his team created and designed a one-of-a-kind, 27,000 square foot dining and entertainment complex. ‘Pickwick & Frolic’ is the primary name of Nick’s ‘baby,’ that houses five distinct spaces all under one roof: Pickwick & Frolic Restaurant, Hilarities 4th St. Theatre, Kevin’s Martini Bar & Tap Room, the Frolic Cabaret and Northeast Ohio’s only Champagne Bar. With Pickwick & Frolic’s opening day being September 6, 2012, the Frolic Family has celebrated many anniversaries and look forward to many, many more years of delicious food, hearty laughs and warm memories for years to come. Innovator, trail blazer, visionary, consummate Cleveland cheerleader. Anyone who has had the pleasure of meeting Nick would likely use those words to describe his spirit and personality. If you ask Nick, he’d use the phrase ‘humble host.’ And you…our customer… a valued ‘guest’ in his house.